Sneeze guards are necessary in the restaurants when food is in open public areas. Sneeze guards, also known as breath guards or shields, protect food from people’s sneezes and breath zones. We offer both full service sneeze guards and self service sneeze guards with multiple custom options. 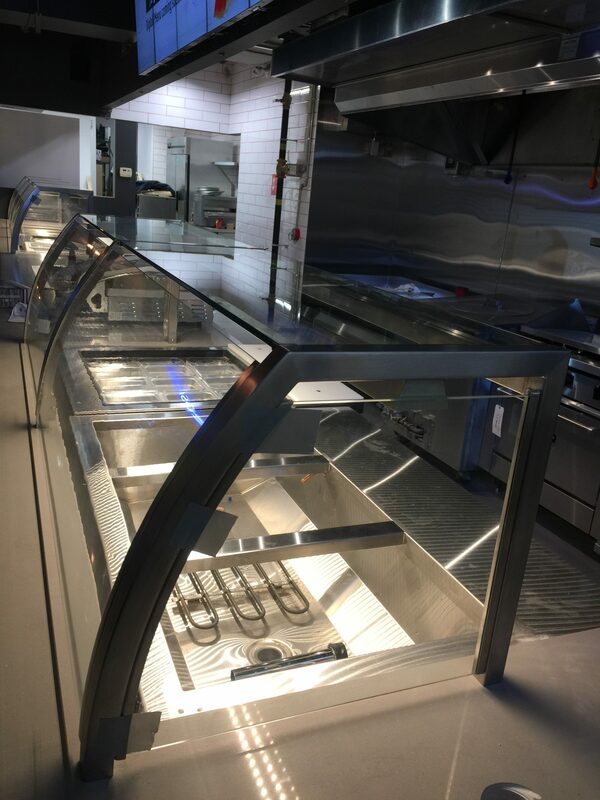 Some food guard options include end glass, pivoting doors, multi-tier designs, adjustable doors, rotating doors, lighting/heating installations and custom glass. Apart from our large standard food guard selection, custom design orders are readily received.